Our guide to Tempe will help you find the best dog friendly places in Tempe Arizona. Established in the late 19th century as an important river crossing, the city of Tempe, Arizona was initially a center of agriculture and dairy farming. Its personality was forever altered when the government founded a teachers' college within its boundaries; that school is now the prestigious Arizona State University. In Tempe, the character is largely that of a college town. Home to faculty members and students, it's a vibrant city with a wealth of cultural and athletic diversions to please any Tempe traveler. Mill Avenue, located in downtown Tempe, is a pedestrian-friendly street lined with unique shops and friendly cafés, which serves as the town's main drag. To the delight of sports fans, Tempe athletics are priority in this town. Each year, the Anaheim Angels hold their annual spring training camp in Tempe. There are tons of great dog friendly places in the city of Tempe, our city guide will help you find the best dog friendly places. You may have a hard time deciding what to do in Tempe, but we make your decision easy. 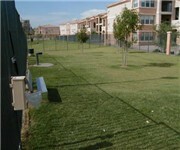 E 8th St & S Una Ave, (480) 921-5700 - Creamery Dog Park is an off-leash fenced in dog park in Tempe Arizona. E Curry Rd & N College Ave, (480) 929-0292 - Papago Dog Park is an fenced in off-leash dog park in Tempe Arizona. S Hardy Dr & W 5th St, (480) 921-5700 - Jaycee Dog Park is a dog friendly off-leash dog park located in Tempe AZ. There are plenty more dog friendly places in Tempe. See all dog friendly places in Tempe Arizona.